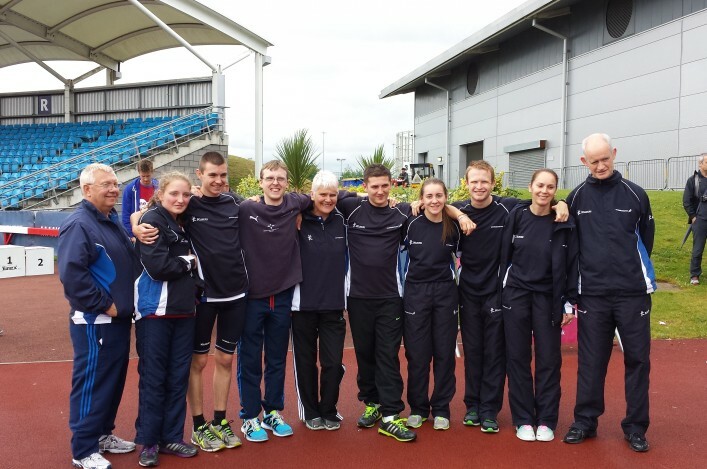 Scottish Disability Sport, in partnership with scottishathletics, sent a team of six athletes from the National Squad to the Mencap Championships in Manchester. The squad featured two girls, Jennifer Power and Laura McLaughlan, and four boys in Steven Bryce, Liam Nolan, Robert Ferrol and Owen Miller. Between them they travelled home with a medal haul of 14, consisting of nine Golds, three Silvers and two Bronzes. U17 athlete Jennifer Power came home with a sprint hat-trick in the 100m, 200m and 300m, taking gold in all three events. This was very impressive as this was her first competition with the National Squad. In the Senior Men’s 400m, Robert Ferrol and Owen Miller battled all the way to the line to take first and second in 53.74 and 54.62 respectfully. In the U20 men’s competition, another newcomer to the squad, Steven Bryce, and Liam Nolan kept the Scottish flag flying high with Steven winning the 800m. 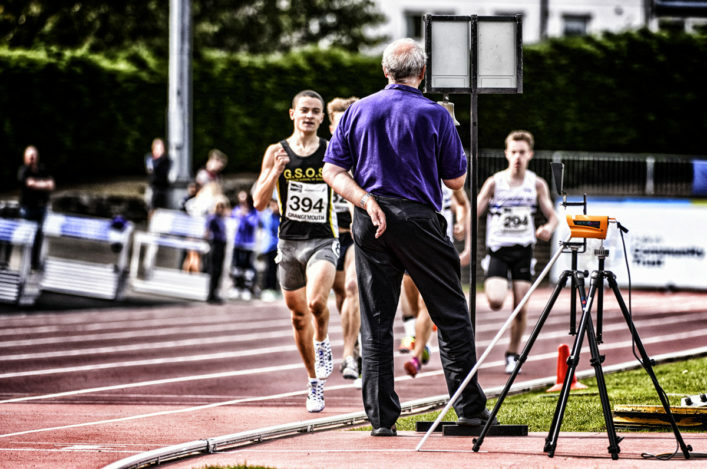 He also took in the 400m, while Liam took gold in the Shot and discus competitions. Not to be out-shone by the youngsters, the veteran athlete of the squad Laura McLaughlan took first in the 800m and second in the 400m. 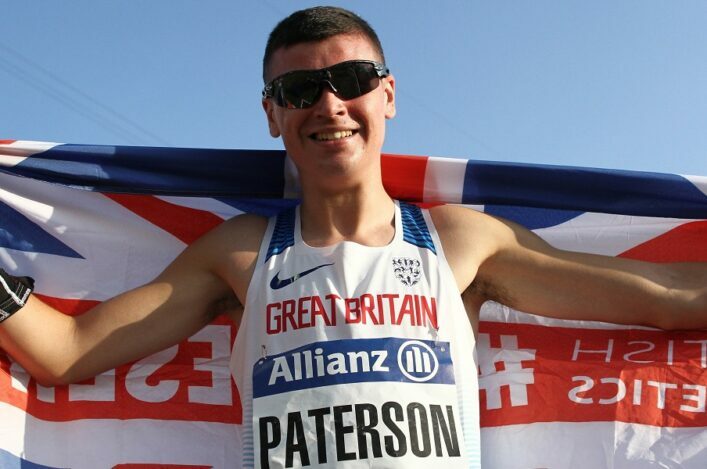 So all in all this was a very successful trip for the Scottish Team and congratulations to all athletes and coaches, some of who are working with maintstream clubs as we seek to develop Para sport opportunities in athletics. 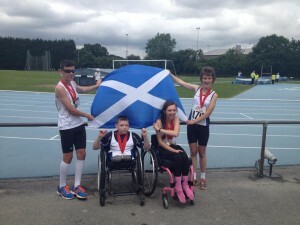 A Scottish Junior team of four athletes competed in the National Junior Disability Athletics Championships held in Coventry. It took place last weekend and was organised by the English Federation of Disability Sport. The Scotland team returned home with 13 gold medals, a host of PBs and the trophy for best performance by a junior woman won by T33 wheelchair racer Shelby Watson. 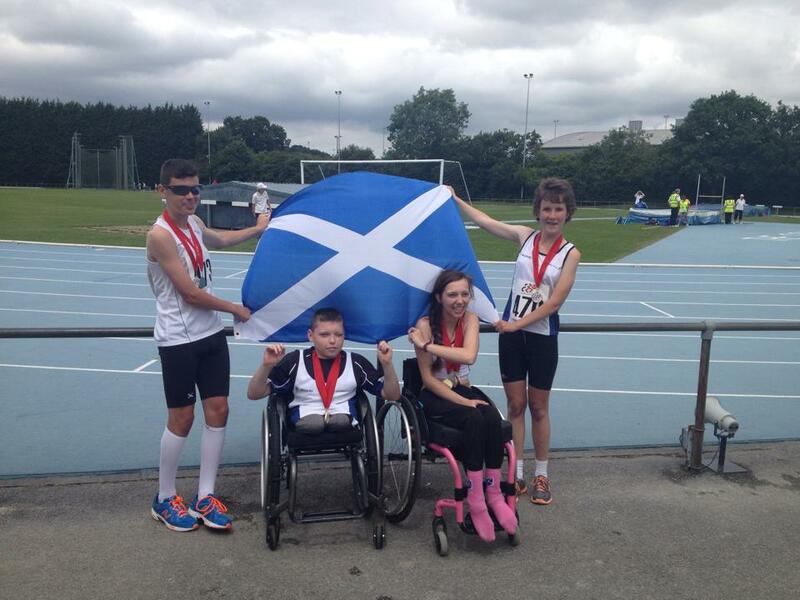 Well done to all athletes, coaches and parents involved as we seek to develop Para sport opportunities across Scotland.